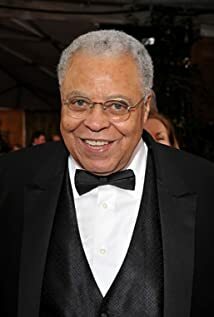 James Earl Jones, easily identified by the sound of his voice is pure inspiration to many voiceover actrors. James Earl Jones is 85 and remains to be one of America’s top actors. He has won numerous awards for his life long film work. Talk about staying power! And that voice! Yes, James Earl Jones has performed many voiceover roles. His voice over work includes the role of Mufasa in “The Lion King”and is the voice of Darth Vader in the Star Wars series. Not to forget the booming promo line, “This…is CNN”. In his early years, he struggled with the very voice that now defines him. At an early age, he started to take dramatic lessons to calm himself down. Jones had a stuttering problem as a boy. He preferred being quiet so as not to call attention to his speaking voice. He’d sometimes refrain from talking at all. During his high school years he found that reading poetry and plays aloud empowered him to overcome the stuttering. This lead him to becoming an actor. James Earl Jones’ practice and persistence in reading aloud was of tremendous value. The ability to communicate with unbroken speech became all-important. While he states he still has the tendencies of a stutterer, he has overcome them by sheer desire and practice. He has basically “overridden” the stumbling of his mouth. I recently read an article about Jones’ latest battle. A diagnosis of diabetes, which he is attacking with the same dedication as he did his stuttering problems. He says he is very proactive and following doctors orders and getting educated on managing the disease. He will not allow it to take him away from his love of acting. Bobbin Beam has been a full-time voiceover actress and voice-over talent since the mid 1980’s. You can listen to Bobbin’s wide range of voice-over demos and commercial and narration video demos and get acquainted with Bobbin’s vocal versatility . Thank you. This is great. Thanks for adding the article you’re sharing to this conversation.